When purchasing the models through Frontline Gaming, we require payment in full for all product up front. Product is fully refundable up until labor begins, at which point it is no longer refundable (as we cannot use it once it is out of the box and assembly has begun) but we will of course ship it to you once shipping for the product has been paid. For projects $750.00 and under, we require half of the labor costs up front as a deposit to begin work, and half upon completion of the project, prior to shipment of the final product. For projects over $750 we can break the project up into as many as 4 payments due at predetermined dates. We accept Credit Cards, Money Orders, Cash, and PayPal. We do not accept personal checks. Tournament Standard: Our most affordable level of painting. Tournament Standard gets an army to exactly that: a Tournament Standard of 3 colors minimum and based. This paint level features a base color and 2-4 base coat colors including a wash for metallics. This paint level features a minimum of detail work and no highlighting. However, these commissions tend to price out at roughly half of what it costs for the Tabletop Standard and get you an army ready to play quickly and affordably. If you enjoy painting but are short on time, this is a great way to get an army cleaned, built and base coated, allowing you to do the fun parts: highlighting and detailing. Alternatively, the Tournament Standard can be a great start for an army and at a later date, you can send it back to us to bring it up to a higher paint standard at a discounted price. This product is still new, so please email for a quote: Painting@FrontlineGaming.org. And please note, the models used in the example below feature level 3 basing. Tabletop Standard OUR BEST VALUE! Tabletop standard paint jobs feature a clean base-coat, detail work and 1-2 levels of highlighting per base color. Tabletop standard includes detail work such as eyes and accessories. We sometimes dip models at this level or airbrush layers and add a wash as appropriate to the aesthetic of the model in question. These models look great for the table-top at a very affordable price. Table-Top Plus Standard level painting comes with a clean base-coat, a minimum of 2 levels of highlight per base color, may feature blending, weathering powders and pigments, fine detail work, lighting effects, etc. as appropriate to the model. These models look great at any distance and will feature painting and modeling techniques that will set them apart from the norm. We offer a Masterclass Paint Service for the exceptional models in your collection. These projects are usually reserved for single models and are painted by our best painters to the limit of their skill. The end result is a display quality miniature that will be the highlight of your collection. These models take several days to paint, and as such we have to charge a premium. Each project is priced individually, but pricing for a single 25mm based model starts at $150. Email us with details of your project and we will shoot you back a quote. Level 1 basing is included in all of our painting projects and is a flat $1 per model. Level one basing is a simple, single material basing. Typically this will be sand, grass, etc. You can choose to have no basing, which is obviously free of charge. Level 2 basing consists of 2-3 types of basing material, and simple paint work to set it off. Level 3 basing features a minimum of 3 types of basing material, may include custom bits, extensive paint work and detail work to set them apart from the norm. If you want no basing then obviously, we will not charge you for it! 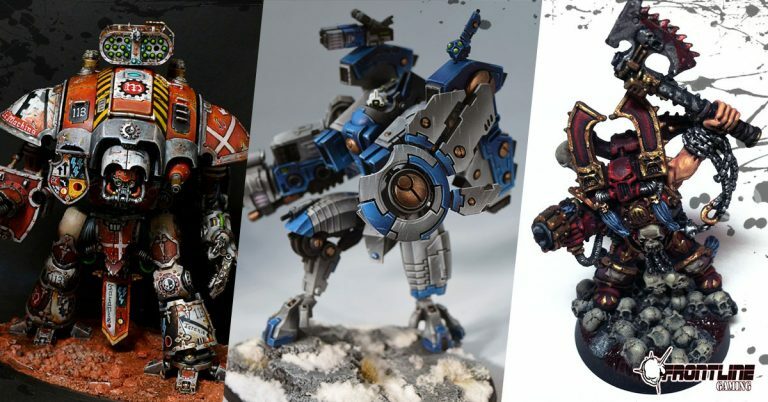 Magnetizing your models is a great way to get the most out of each kit. You can swap weapon load outs to totally change the way a model plays and get more mileage out of your army! This helps to keep things fresh and to make adjustments after the army is painted without having to get an entirely new model painted. We charge a flat rate of $1 per magnet used, which covers material and labor. Please remember, that is per magnet and you will typically need to consider the mount magnet and the magnet on each optional piece. So, for example, to magnetize a tank and two weapons would be $3.00. $1 for the mount, $1 for each weapon. 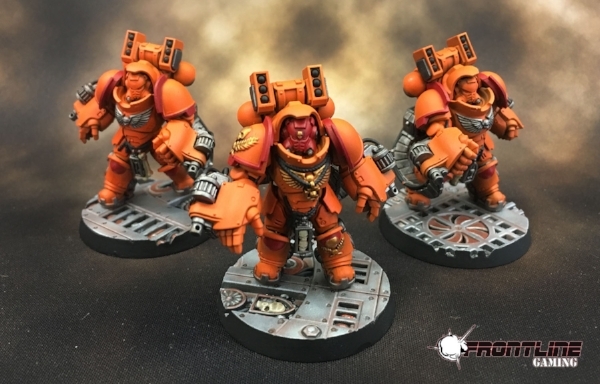 We charge an additional fee for painting models where the primary color is yellow or white. This is due to the extra time needed to paint these colors and is a separate cost listed in the cost spreadsheets.